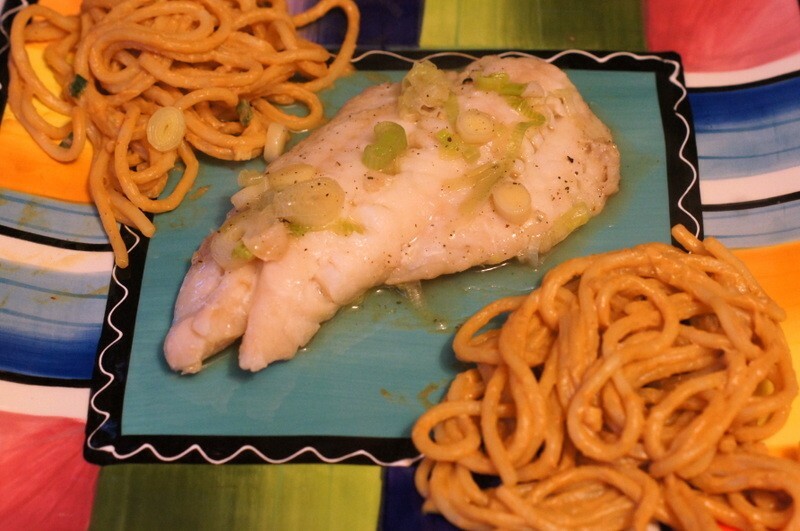 If you can boil water (or, broth in this case), you can make this easy but tasty fish recipe. It really doesn't get any simpler. I first came across the recipe in the New York Times "Minimalist" column. 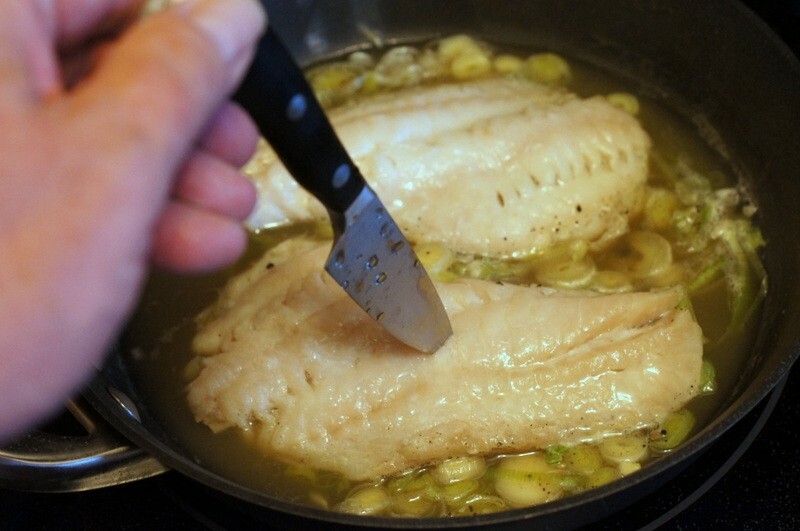 This is a great way to prepare thin fish fillets such as flounder, sole, tilapia and such which can easily overcook when grilled, pan-fried or broiled. The fish simply poached in hot broth for a few minutes until it's done and the flavor is terrific. 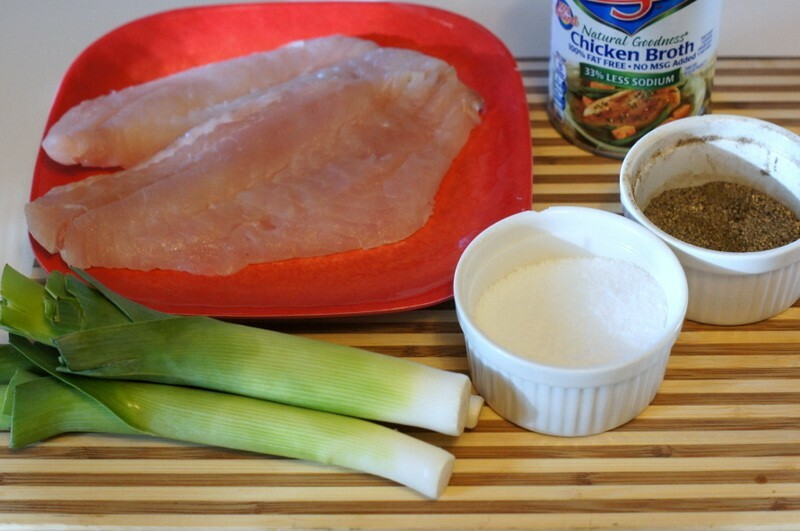 The poaching broth makes a great "dressing" for the fish. 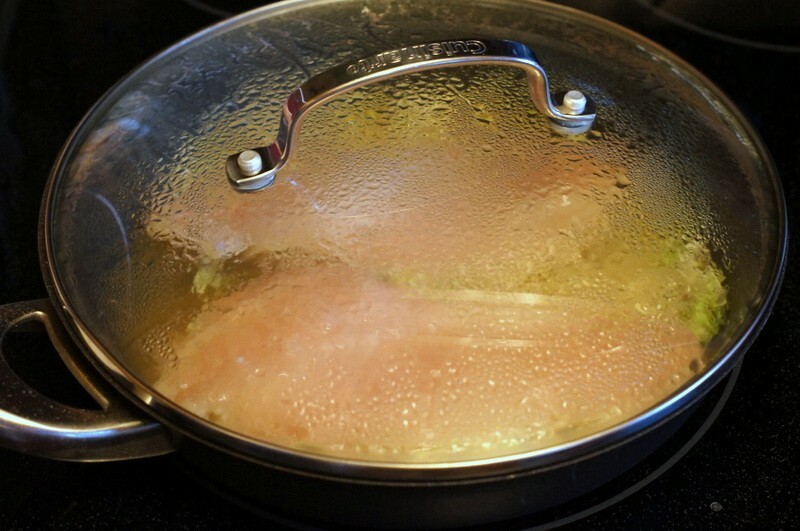 Bring the chicken broth to a boil in a large skillet. 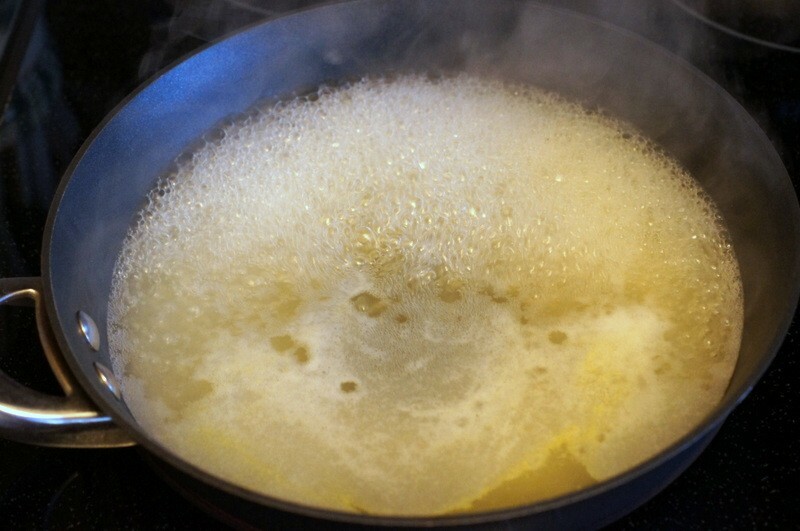 Allow the broth to boil until it's reduced by half. 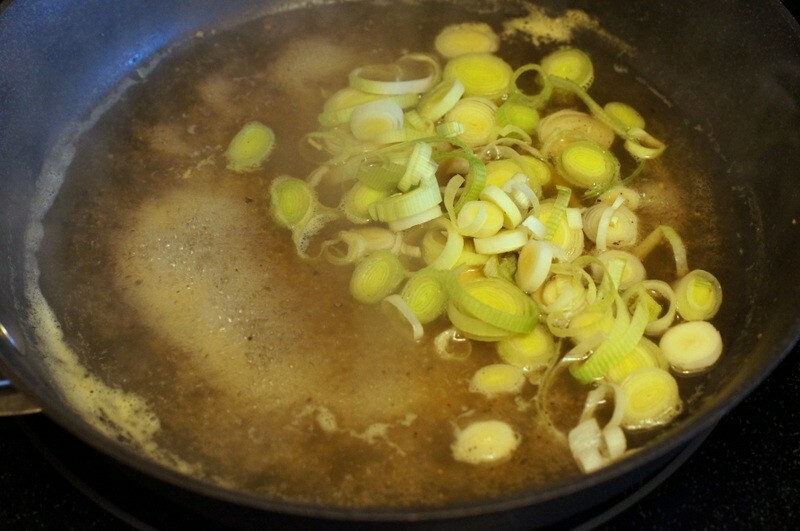 Add the leeks to the broth, along with salt and pepper, to taste. Cook the leeks for a minute or so. 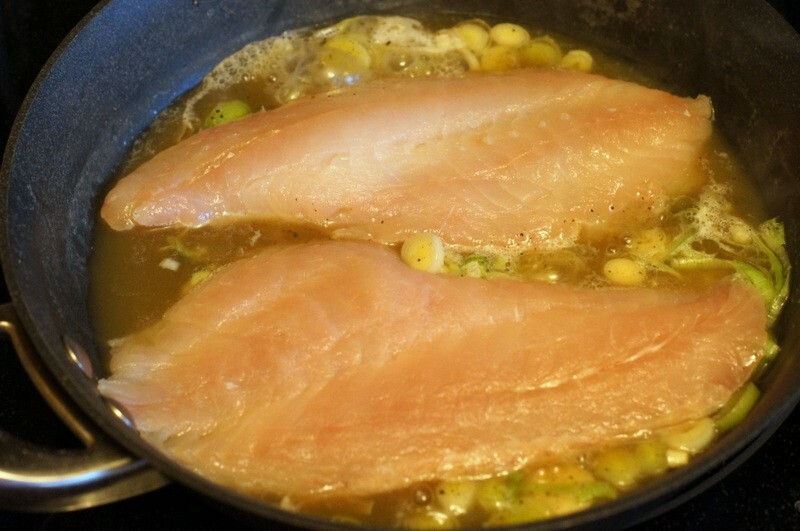 Next, add the fish to the skillet in a single layer, if possible. Turn the heat off and cover the skillet. Let the fish poach in the hot broth for about 3 minutes. At 3 minutes check to see if the fish is cooked through. A thin-blade knife should encounter no resistance. Keep checking every minute or so until the fish is done. 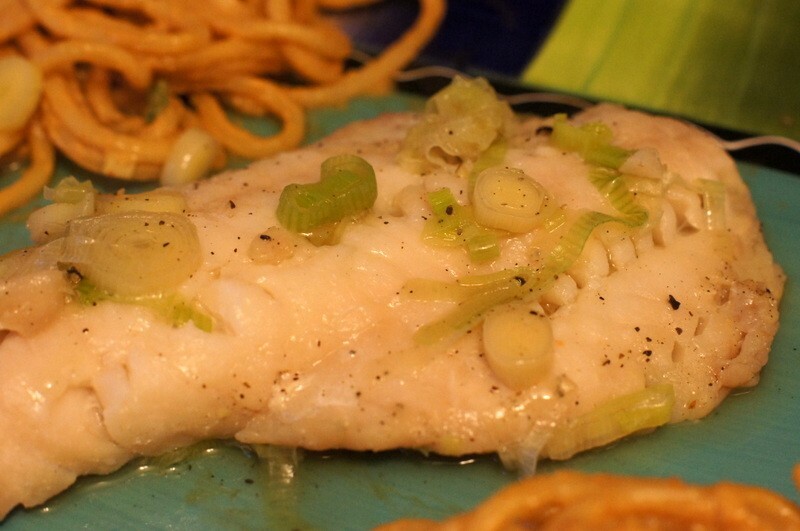 Serve the fish topped with some of the broth and leeks and a sprinkling of salt.